Hitachi is the brand everybody trusts because of their experience in the field for so many long years. 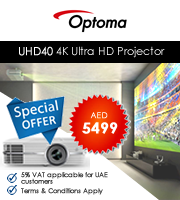 If you are involved in a company that involves around graphics and advertisement, we would urge you to invest in good Hitachi Projectors. 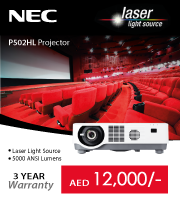 While Hitachi might be on the costlier side of the spectrum, we at Projector Square, encourage you to buy its online projectors because they will bring you prosperity in the long run. Also, another benefit if you buy them is that they are really enduring products which can function easily with a minimum breakdown and almost zero servicing. If you are a resident of Dubai, Abu Dhabi, UAE, Kuwait, Jeddah, Riyadh, Saudi Arabia, Muscat, Oman, Doha, and Qatar, you are already aware of Hitachi’s immense popularity in the areas. Our online products are absolutely genuine and we offer exciting offers for our customers. So if you live in the areas of Dubai, Abu Dhabi, UAE, Kuwait, Jeddah, Riyadh, Saudi Arabia, Muscat, Oman, Doha, and Qatar, contact us at info@projectsquare.com.